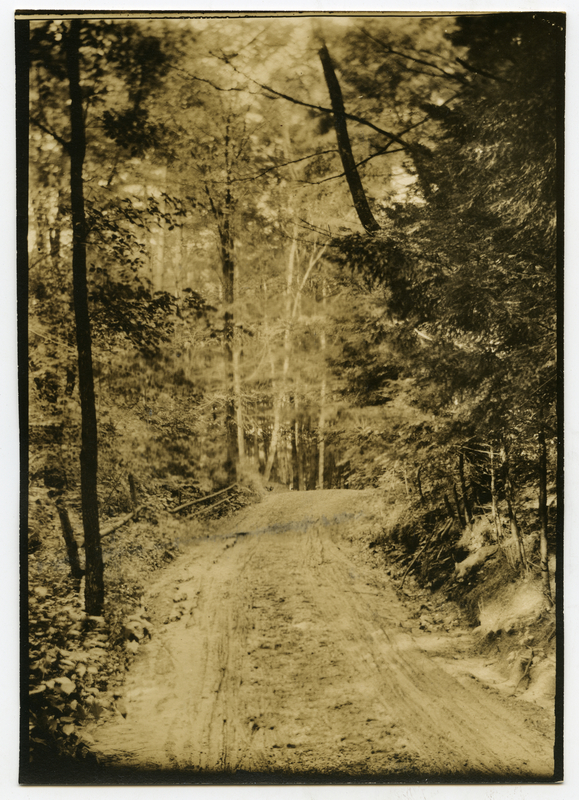 A view of a dirt road extending away from the camera and rising slightly in the middle ground before disappearing. A wood fence lines a gentle curve on the left and trees grow on both sides of the road. Johnson, Clifton, 1865-1940, “A New Hampshire paradise,” Digital Amherst, accessed April 23, 2019, http://digitalamherst.org/items/show/3549.